ROOF FRAME ASSEMBLY Each bar (A, B) has a spring activated button for locking into the corner pieces. 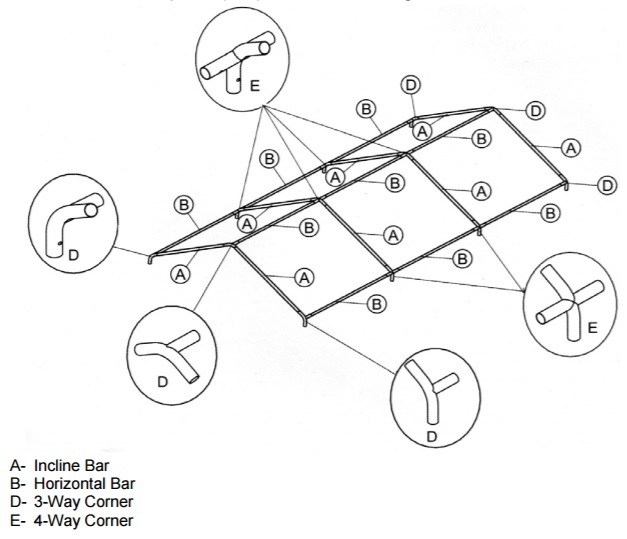 Insert bars into corner pieces (D, E) as shown in the diagram below. 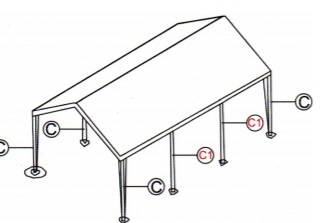 POST ASSEMBLY – Part 1 Insert posts (C, C1) into the corners on one side of the assembled roof as shown in the diagram. 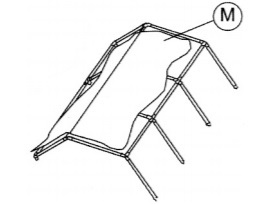 CANOPY ROOF ASSEMBLY Spread canopy roof (M) over assembled roof frame. If you want to attach the end panels (P & Q) then you should do so at this point. POST ASSEMBLY – Part 2 Insert the remaining posts (C) into the corners on the other side of the roof as shown in the diagram. 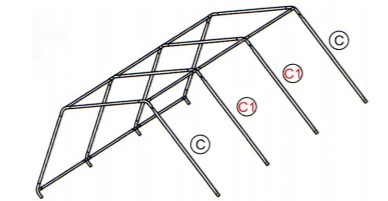 There are hooks attached to the four corners of the canopy roof (M). 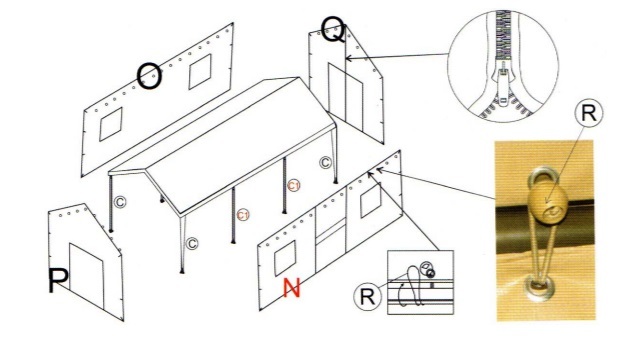 Insert these hooks into the pre-drilled holes on the four corner posts (C).